Dasol is a full service medical spa offering all types of dermatology, anti-aging, and skin tightening. We offer various services for your facial and skin rejuvenation, pigmentation, vascular, scar, hair removal, and more. 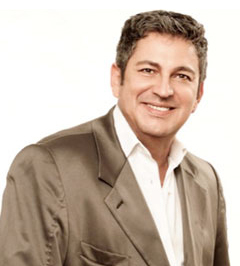 Our medical director, Dr. Jorge Gaviria is a top plastic surgeon in Florida and he has been practicing surgeries over 20 years in United States, Spain, Colombia, and Puerto Rico. He was born in Medellin, Colombia he is fluent in Spanish, English and conversational in Catalan, German and Italian. Dr. Gaviria has a warm personality that immediately puts patients at ease. He will provide you with the best consultation in regards to Botox and Filler with safe and satisfying results. Our commitment to safety, effectiveness, and highest quality is reflected in the partners we work with top names in the industry.